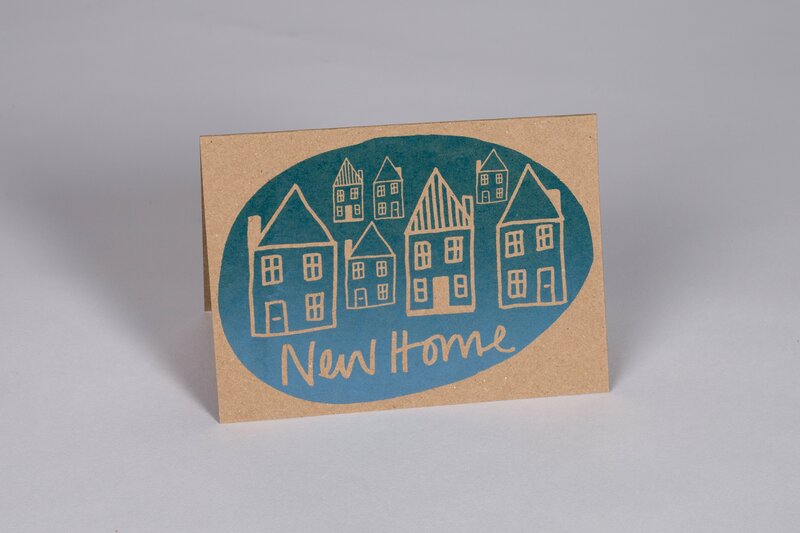 New Home Occassion Greeting Card. 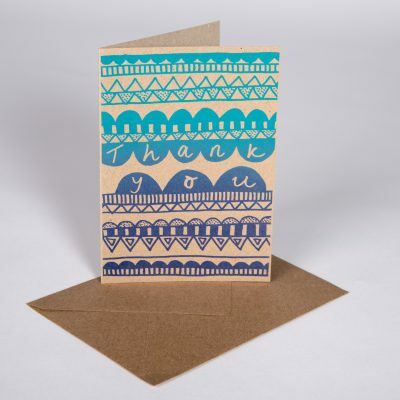 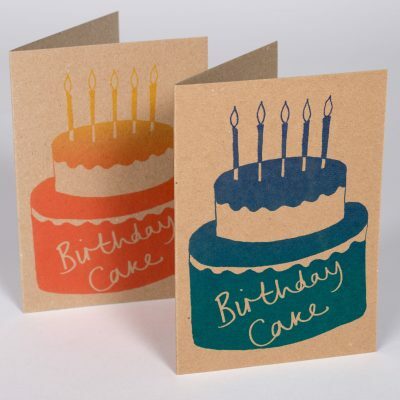 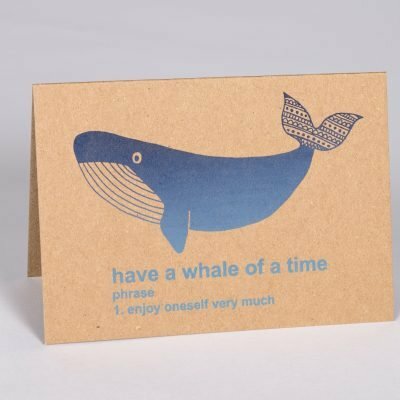 Hand screen printed with acrylic ink onto recycled brown card and supplied with a matching envelope. 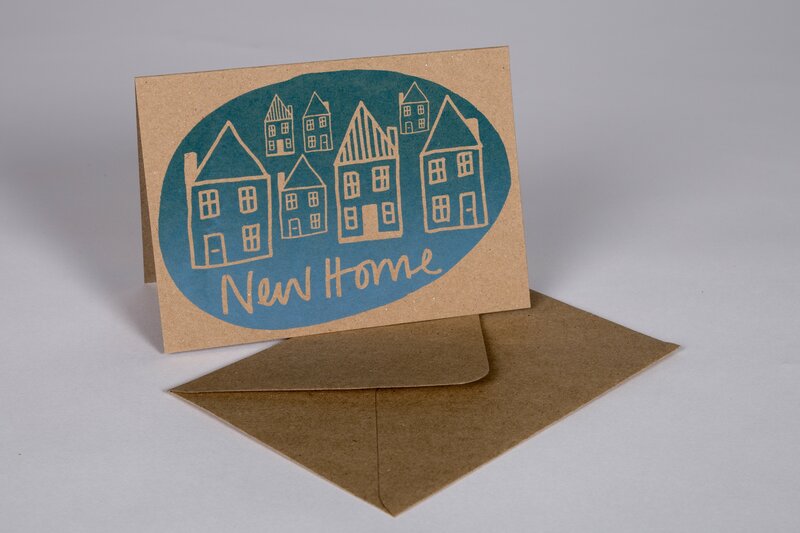 Standard A6 card size with C6 envelope.